In today’s “new-normal” era - managing a constantly evolving set of organizational priorities along with ever-increasing customer expectations while working with limited resources means everyone needs to chip in. As mentioned in this Gary Hamel video (http://bit.ly/2oYLprp), enlarging the leadership franchise and syndicating the work of designated experts is the key to unlocking the organization's latent capability. Which means Leadership is no longer the preserve of “leaders” and Subject Matter Expertise is no longer the preserve of “experts”. Capitalizing on cognitive surplus (http://bit.ly/2Qm10hp) : Most large organizations have significant subject matter expertise spread across geographies and departments, which is capable and willing to contribute towards creating value through cross-functional projects and change management exercises. Crowd sourced problem solving: At any point in time, there are problems being faced by organizations which can be solved better or quicker by associates who are not necessarily part of that "team". This can help broadcast these problem statements and generate the best solution the organization has to offer. Crowd-sourced expert identification: As organizations take up challenging and cutting edge projects - identifying and deploying the right expertise for the right engagement needs to be very quick. This can be enabled by providing a crowd sourced framework to identify experts who have been "whetted" by the community with social cues - eg Votes / Comments etc. 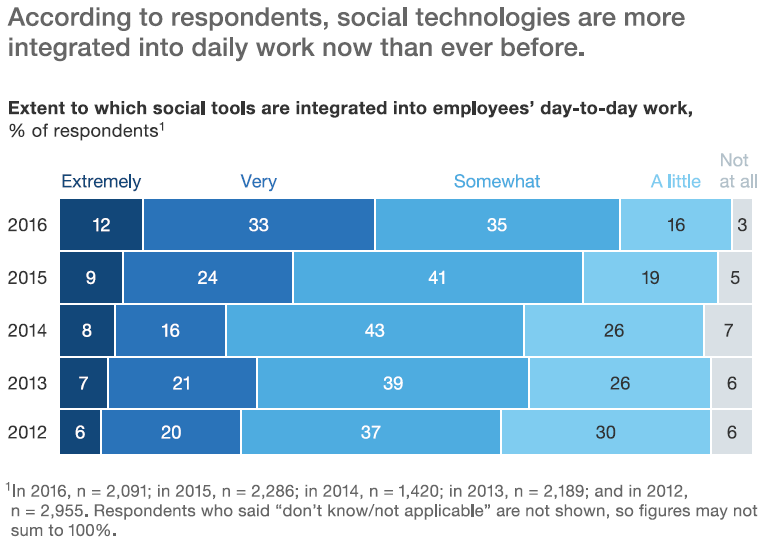 The utility of social tools has also been demonstrated by a McKinsey survey ( https://mck.co/2NFLBtW) that shows a consistent increase in adoption over the last few years. Having implemented an ESN, it is imperative to track the effectiveness of the network and generate actionable insights. This is where Organizational Network Analytics (ONA) comes in. ONA or the ability to collect and interpret data, is now helping visualize and interpret conversational data being generated by informal networks. Keeping this in mind, the following 3 areas can benefit the most from generating ONA. The VUCA nature of today's industry, complexity of large organizations, labyrinthine regulations and information-overload demands a lot from today's leaders. Yet for all the effort that is put into selecting, training and assessing leaders, there still seems to be a dearth of leadership talent. The problem may have less to do with them as individuals than with the top-down structures in which they operate. In most organizations, the responsibility for setting direction, developing strategy and allocating resources is highly centralized. That means, especially in large organizations - there is a significant amount of pressure on a relatively small group of individuals to take significant and high impact decisions on a regular basis. Also, even the most malleable minds can only attend to so much. With 25 billion gigabits of digital information getting created every day, each of us is becoming unaware faster. Is it feasible to expect leaders to know everything, all the time? With these Structural and Cognitive limits in mind, we should be working a lot harder to unleash the leadership talents of everyone else. A few highly connected and visible associates can have a disproportionate say in shaping opinions on account of Social Networks. While at times this may seem a little lopsided, this also presents an opportunity of spreading an organizational message without having to reach out to everyone. So the million dollar question is how do we identify these "influencers" and how do we utilize them to predict if an idea will be adopted by the larger community. To do this we start with a simple comparison, ideas are like viruses - just like viruses can do maximum damage by impacting highly "connected" individuals the most "influential" folks are the ones who are central to the network. Eg A, a highly connected associate, is in a much better position to influence opinions than B (on the network periphery). This measure is broadly referred to as "Centrality". 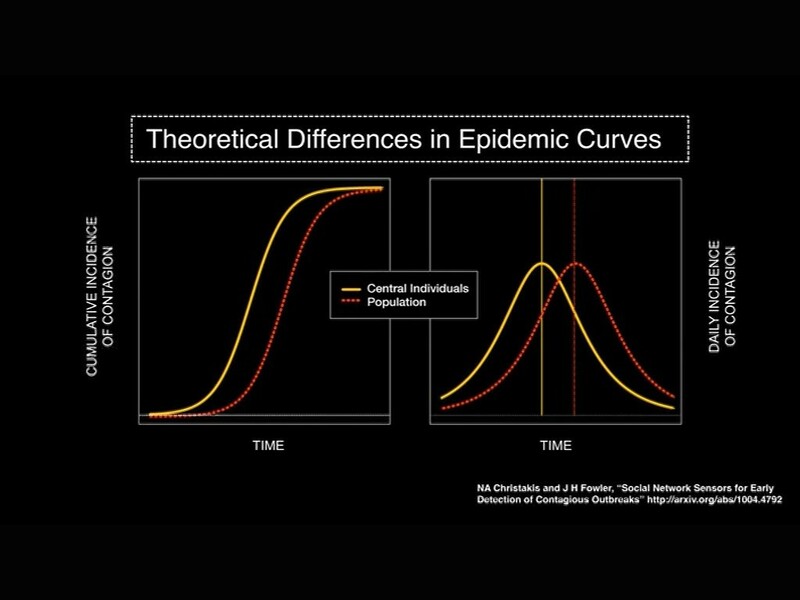 Every idea (and virus) has an S shaped adoption pattern with an initial phase (where associates are slowly getting to hear of the idea), exponential increase phase (where the idea spreading from 2 to 4 to 16 to 256 etc) and a plateau phase where there are no more people to "infect" with the idea. Simulating these 3 phases in the "central" associates will give a early heads of the adoption rate. Hence, identifying these central associates and tracking idea adoption among them helps us predict the S curve for them and therefore how ideas will be adopted by the larger population. There may be relatively new skills for which assessments haven’t been created. If the skills have not been applied recently, the associate’s proficiency may be a lot less than that indicated by a dated assessment score. Secondly, a fairly high percentage of employees are millennials who attach minimal importance to structures/hierarchies and are highly connected socially both on and off work. ONA can help bridge the contrast between these 2 features by getting quantifiable and actionable insights from conversational data generated by the enterprise social platforms. Doing this would also trigger a virtuous cycle that will continuously reinforce participation on the platform. Rob Cross ( http://www.robcross.org) – is a though leader in this space. 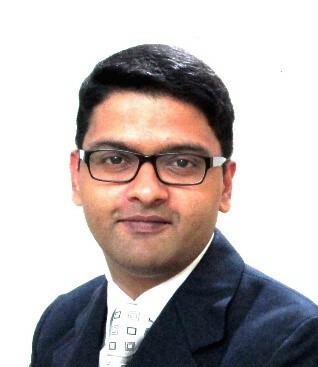 Togy Jose ( linkedin.com/in/togy-jose-lssbb-81b607140) is a Lean Six Sigma Black Belt with 14 years’ experience in HR Analytics and Process Excellence and his experience spans across Analytics, Machine Learning, AI, Project Management and Lean Six Sigma. He is the founder of HRness (https://www.HRness.in), an HRTech startup that leverages Organizational Network Analytics to convert Conversational Data into Actionable Insights that helps leaders drive synergies through informal networks.